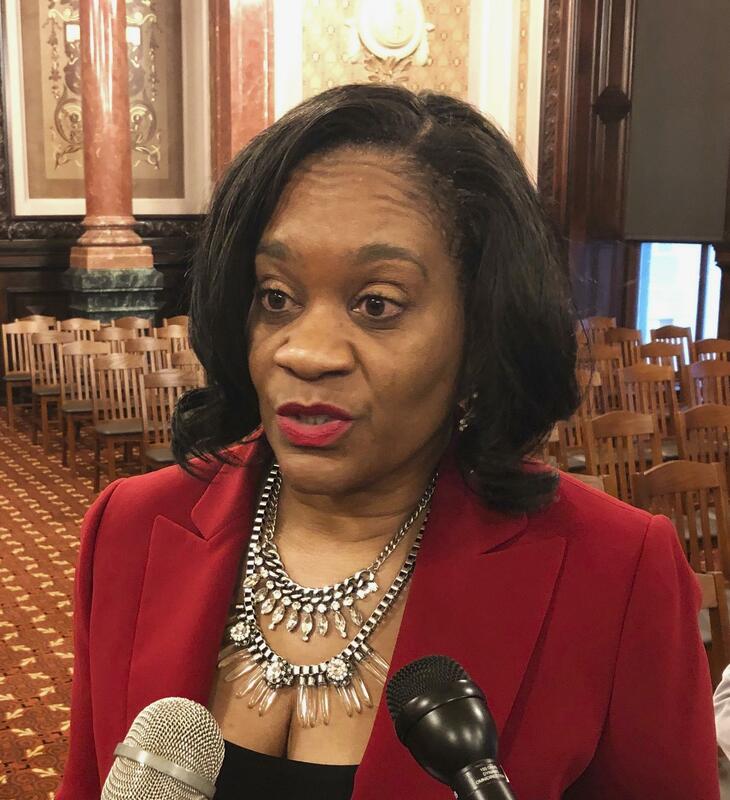 Illinois Senate Majority Leader Kimberly Lightford, D-Maywood, discusses her proposal to raise the state's minimum wage to $15 by 2025. The Democrat told reporters that he's "now delivering" on his campaign promise for a $15-an-hour minimum. The pronouncement came an hour after the Senate approved 39-18 a six-year phased-in increase proposed by Maywood Democratic Leader Kimberly Lightford. Voting against the bill were Republican Sens. Bill Brady, R-Bloomington; Jason Barickman, R-Bloomington; and Chapin Rose, R-Mahomet. Pritzker told Democrats who control the General Assembly he wants to sign an increase into law before he proposes his first annual budget on Feb. 20. The House has to vote yet. But sponsoring Rep. Will Guzzardi, a Chicago Democrat, predicted success. Republicans and many business interests oppose the measure. They say the increased costs not only to the private sector but taxpayer-financed institutions will be prohibitive. Lightford and Guzzardi won approval for a wage hike in 2017. Former GOP Gov. Bruce Rauner vetoed it.